Microtech just recently started making their Troodon knife that was their flagship knife back in 2006. If you aren’t sure what makes it so popular, you have got to get one of these into your hands. Made just like the Combat Troodon, but a smaller size–the Troodon out the front knife is about the perfect size for everyday use. I picked one of these up yesterday as I was taking the pictures for the website and thought, “Wow, that could easily be my favorite out the front ever.” I started working with it, taking the measurements and as I did, I realized that it may be a little early to say, but I think I may have just found my new favorite out the front knife. 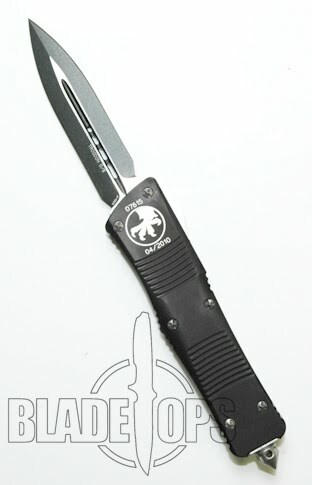 Don’t get me wrong, the other Microtech OTF knives are all just as well built out of the same quality materials. But the Troodon seems to be the perfect size. And with the quality construction that Microtech puts into the job, you know it will perform. Check this knife out quick, there aren’t a lot available and who knows when they will become available again. Next Next post: What You Can Expect from a Piranha Knife?